Liberation - Reunification Day falls on April 30th each year celebrating the fall of Saigon to the North Vietnamese on April 30th, 1975. People can attend parades in Ho Chi Minh City. 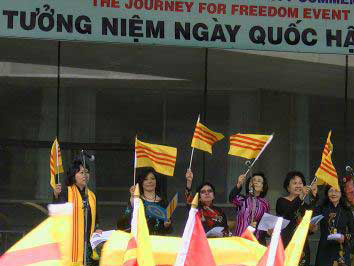 The Vietnamese Flag is flown all over the country on this day to show patriotism for their country. Many take this day and the next day Labour Day as a chance to take a 4 or 5 day vacation. On April 30, 1975 the Viet Cong captured Saigon and later the next year on July 2, 1976 the unification of both the north and south officially occurred called the Socialist Republic of Vietnam. Provides the dates for holidays for the calendar year for Vietnam.